fuldført og postet dette indlæg. Jeg har set tilbage og her er mine valg. 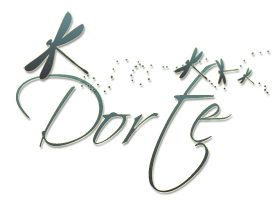 DT kort for Prarie Fairy, februar. 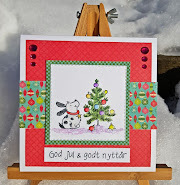 December 2012, DT kort for ABC Christmas Challenge. 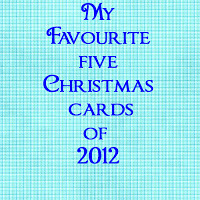 Juni 2012, DT kort for ABC Christmas Challenge. Det er nok det julekort jeg selv synes bedst om. og det er nok de farver jeg synes bedst om at bruge. så langsomt går det med at laste op/ned. komme rundt på besøg hos jer derude som jeg plejer. Og skrive kommentarer; det er bare at drømme om! Z for Zoo Animal, DT card for ABC Christmas Challenge. Hi crafters, and Merry Christmas to you. Hoping that you are enjoying your holidays with your family and loved ones. Z is for Zoo Animals. head start on next years pile of Christmas cards. I have used this adorable penguin couple from Sugar Nellie. 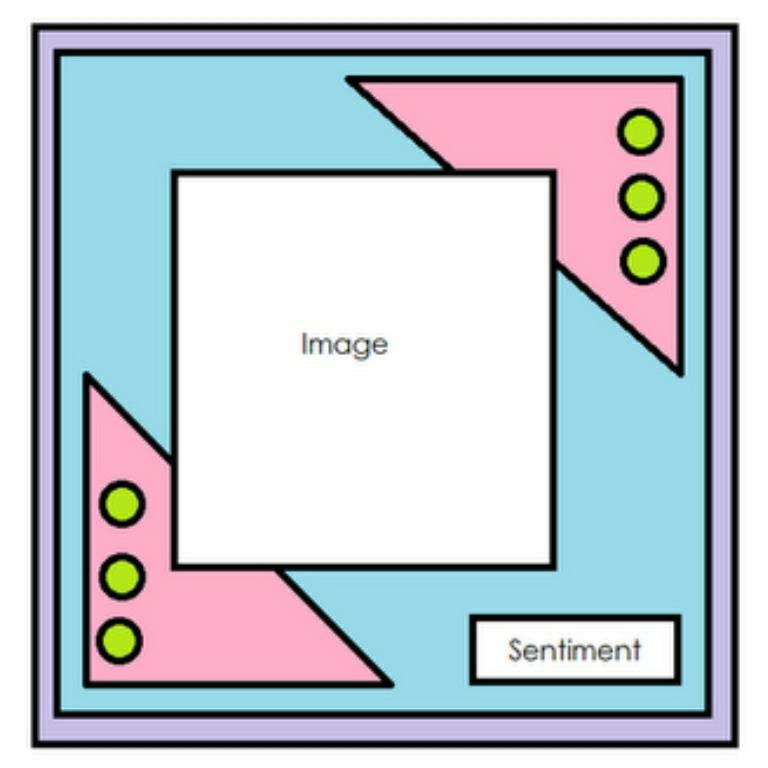 Together with the Spellbinder die it's a rather easy card to make. But I like the way it came out. The cute charm and the ribbon are from my stash. I have added Perfect Pearls on to the image as snow. The paper is from Papirdesign, a Norwegian company. My usual backside and my personal stamp. We have to sponsors for this last challenge of the year. We also have a DT call because Kelly and Miria are leaving us. Please take a look at the ABC Challenge blog for more information. 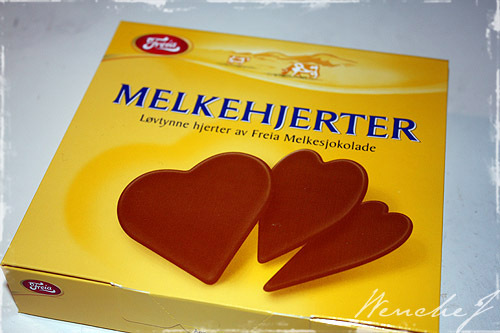 Denne gamle nisse er med mig fra min barndom. så jeg tar den igen. Dem med god husk springer bare over! ude på landet, og denne nisse var en del af den årlige julepynt. weekend i november, tror jeg det var. sidste DT kort for ABC Christmas Challenge. ikke noget at råbe hurra over. Lige i øjeblikket er vi nærmest sneet inde. Der er stærk blæst, det sner på tværs og der er dårlig sigt. og blev derfor tilbage i byen! men vi har gaverne og de andre maden!! Vi håber på at vejrforholdene bedrer sig til i morgen. I ventetiden kan jeg blogge et af årets sidste julekort. har jeg haft lyst til at lave et magen til. Stemplet har jeg fået af en anden DT kompis. Tusind tak til America for stemplet og Lols for inspirationen. og 'God Jul' stemplet er fra Kort og Godt. Mønsterpapiret er nogle gamle nogle fra Fancy Pants. Den røde tekst er lavet vhj af mine Distress Markers. når man farvelægger med Distress Markers. han er kombineret med mit 'Håndlavet af' stempel. Y is for Your favourite Punch and/or Die. For sponsor information please visit the challenge blog here. the second one today. I had to save some time! it depends of what kind of card I'm gonna make. today I have used the Snowflake corner die. Another lovely die is the 'Spruce' die from Magnolia. The papers are 'Eskimo Kisses' from Basic Grey. 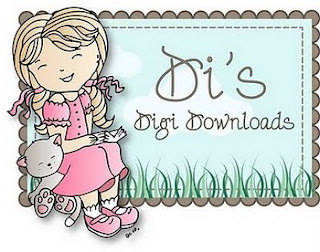 I have added Stickles and Perfect Pearls on to the image. like I usually does. I run out of paper! But the ones I've used are from the same line. Have you finished your coffee?? Remember, you can never have to many Christmas cards! Christmas Hugs or Kisses, Dt card for HM&FMC. I have decorated a chocolate box using this adorable 'Candy Gram'. Look at them, so very cute. Flowers and pearl string are from Kort og Godt Hobby I think. The papers are from 3ndy papir, a Norwegian company. Here a picture of the box when it's opened up. Another picture, we had a fantastic weather the day. A simple back side with my personal stamp. it was hard to cover all the yellow. 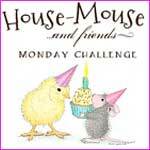 We are sponsored by House Mouse Designs who are giving away $25 gift certificate. 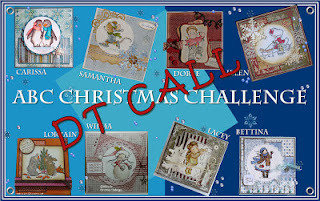 Your Favourite Die/Punch, DT card for ABC Christmas Challenge. Y for Your Favourite Punch or Die. is 'Frosty Border' from Memory Box. perfect for a masculine card. 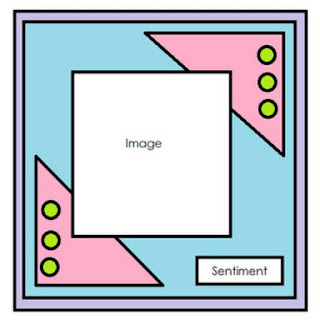 Today's papers are from Maja Design, and the image from LOTV. I have added snow on to the cute snowman and the ground. giving a $10 gift certificate to her shop. To ski or not to ski, MW reminder for HM&FMC. have some fun with some Magical Winter Weather. please check out the HM&FMC blog. I have inked up this wonderful Gruffie Bear, To ski or not to ski. Well inked; for once I have used my Prismas for colouring. instead of my Distress Inks. Don't ask me why. The text banner is a sentiment from LOTV. Pearls and snowflake charm are from my stash. unable to decide to ski down or not!! are made with dies from Marianne Design. and of course my personal stamp. hurtigt holder vennerne ikke op med at fylde år. Og det er egentlig lidt godt. Stemplet er fra Sugar Nellie, 'Hello Little Friend' hedder det. af den søde lille fe og på kaninens hale. Mønsterpapiret er en rest fra Maja Design. hvis jeg ikke husker helt fejl. den har fået lidt bling på her og der. Her er sketchen fra The Sugar Bowl som jeg har brugt. Totally Gorjuss- #161 Oh no, snow! Let it snow. DT card for HM&FMC.